Christmas is almost here. Place your order now and you can still have it in time for Christmas, but don't delay. A bracelet or pair of earrings is a perfect gift for that special woman in your life. A money clip is always a great gift for that special man. Choose one of the items listed above or choose from the rest of our hand-made jewelry. Don't wait! Now is the time to order. You can even call us toll free @ 800-631-7640 if you would like immediate confirmation of your order. HAPPY HOLIDAYS! Jost Bros. has been a family owned and operated business for over 60 years, supplying quality mens and womens jewelry to the retail jewelry industry. 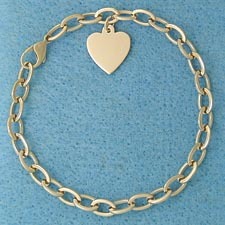 We manufacture bracelets, womens rings, cufflinks, earrings, money clips, pins, studs, charms and lockets. 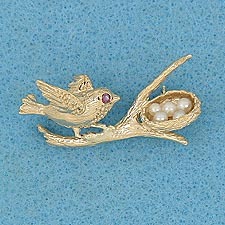 All jewelry shown on our site is available in 14K yellow gold. Some items are also available in 14k white gold, 18K yellow gold and sterling silver. Custom Jewelry orders are welcome. We accept all major credit cards. All transactions are on a secure server for your protection. Click one of our Web Specials for details. 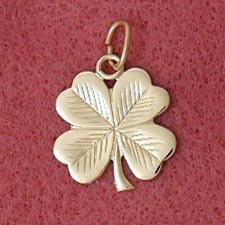 14K Yellow Gold 1-1/4 in. 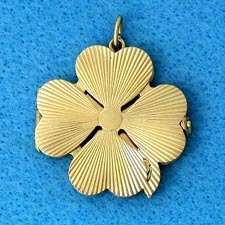 Clover Locket.